What is the Smart Hob system? Catch up on some of the latest news you might have missed throughout the month of November. We are supporting the tireless work of many volunteers who operate the Wildlife Emergency Response Service to help sick, injured and orphaned native wildlife as part of our SBS Support. Donate. Volunteer Program. 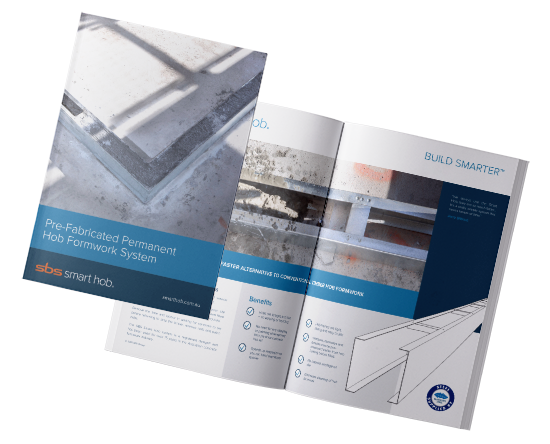 Using the Smart Hob system, the hob formwork process is twice as fast. Enjoy a round-up of some of the most popular articles we found around the web last month. For the second month in a row, SBS Group is supporting the Peter MacCallum Cancer Foundation as part of our SBS Support. Donate. Volunteer program. August Round-Up – What News Did the Construction Industry Bring in the Final Month of Winter? If the use of concrete to create an architectural feature doesn’t inspire you, think again. For this distillery project, the Smart Hob system was the ideal solution to create a raised water barrier system, separating the processing areas from the public spaces. Over the years, Peter Mac has been a source of hope for many friends and family undergoing cancer treatment with their world-class care and facilities. What Construction News Was Circling The Web In July? A Round-Up of 8 Popular Articles. Some interesting findings throughout July revealed from Melbourne CBD as Australia’s most densely populated region to the announcement of the Lendlease-led Consortium’s winning bid to build the Metro Tunnel project. See just how easy it is to install Smart Hobs by watching this quick step by step guide. All the information you need to know about the Smart Hob system including an installation guide, specifications and project applications. Copyright 2019 | The Smart Hob system is a registered design. Manufactured and supplied by SBS Group Vic.